This is a story that our timeshare exit team hears often. The timeshare industry strategically picks people that they think will be likely to buy a timeshare and they are usually right. By the time you leave the timeshare presentation, you have fully bought into the idea of owning a timeshare. You envision going on luxurious vacations and enjoying some much needed and well-deserved downtime. A timeshare can be great while you’re using it. You may have loved your timeshare for the first few years. However changing life circumstances or increasing maintenance fees may leave you wondering how to get rid of a timeshare. You may decide that it is a good idea to call the timeshare company. At this point, you have owned your timeshare for a few years, so you are well outside your rescission period. This is the grace period or “cooling off” period you have when you first purchase your timeshare. During this time you can cancel your timeshare without any penalty. But, it usually only lasts for a few days so by the time you even get home from your trip, it is over. Once you are outside of your rescission period, the timeshare company will tell you that there is no way to get a timeshare cancellation. They will suggest that you try to sell your timeshare if you want to get rid of it. You might think that a timeshare resale sounds like a solid plan. But, you will quickly find out that it is hard even to give a timeshare away in this market, let alone sell one. Even if you are able to find a buyer, you will most likely end up losing money. Your timeshare is not the investment that you thought it would be. At this point, many of our customers look into giving away their timeshare. 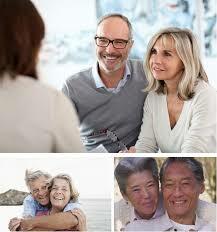 You can give your timeshare as a gift to a family member or friend. They would take over payments, and you would be rid of your timeshare. This can work if you have someone who wants a timeshare. Many people, however, do not want the burden of monthly payments and cannot afford a timeshare. It is an expensive gift, and it can be difficult to find someone who wants to receive it. So, now you might be thinking that you are stuck. You can’t sell your timeshare, and you certainly can’t give it away. Might as well just continue making your payments forever. There is another way. Our timeshare exit team specializes in timeshare cancellation, even after your rescission period is over. That’s right, we can help you get out of your timeshare even outside of your cancellation period. Our timeshare exit team cost is reasonable, and we are on your side. We offer a satisfaction guarantee on all of our timeshare cancellation services, meaning that if we don’t perform, you don’t pay. Once you call us, we take over talking to the timeshare company on your behalf. Our timeshare exit team reviews your timeshare contract to determine the best way to get a timeshare cancellation. We then begin skillfully crafting a resort authorized cancellation letter. Once we cancel your timeshare, you can get your life back.